Jason Atherton's highly anticipated opening is finally here and holding it's own very well while rubbing shoulders with several nearby highly rated Mayfair eateries. Following Atherton's celebrated tenure at Maze and his time as Gordon Ramsay's protege, expect the cooking at Pollen Street Social to be the best of British with inventive twists with many items prepared in the famed Josper grill. The atmosphere is as the name suggests intended to be 'social' and customers are encouraged to pop in for a glass of wine or linger over dinner in the modern yet warm dining room. There is also a private dining room in the wine cellar should you want to treat your best friends to a fabulous meal. The menu is appropriately British with delicious dishes such as West Country ox cheek, Roasted Dingley Dell pork belly and loin and Rack of Cotswold lamb. The restaurant even allow you to leave with a goodie bag, making this one hell of a London dining experience. Pollen Street Social gyms, sporting activities, health & beauty and fitness. The best pubs near London Pollen Street Social. Pollen Street Social clubs, bars, cabaret nights, casinos and interesting nightlife. 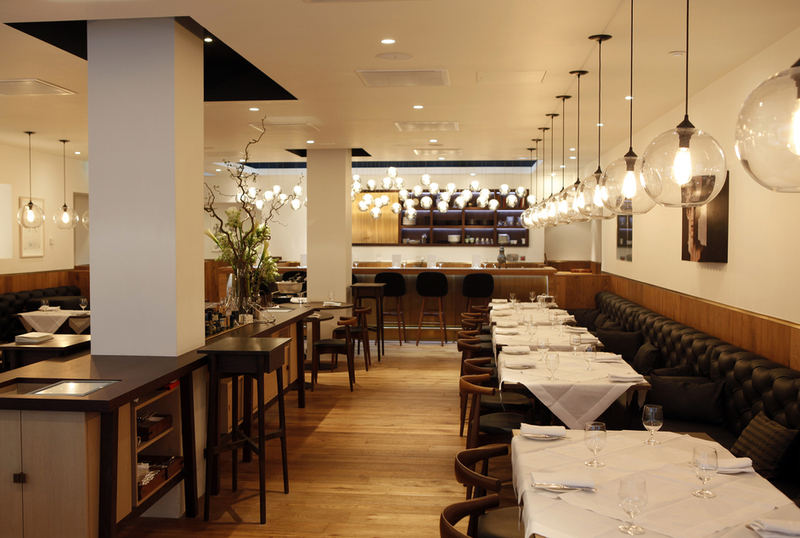 Where to have your meeting, conference, exhibition, private dining or training course near Pollen Street Social. From cheap budget accommodation to luxury 5 star hotels see our discounts for Pollen Street Social hotels, including No 5 Maddox Street London from 75% off.